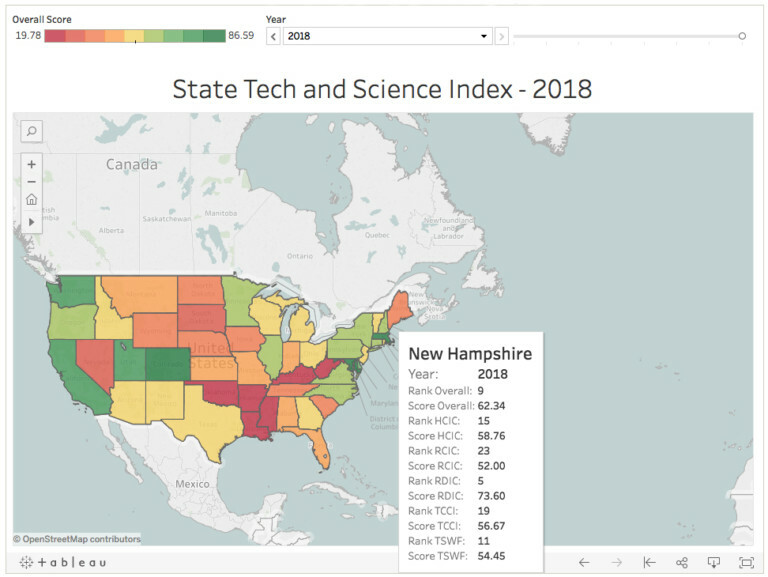 New Hampshire has jumped two spots, ranking ninth in the Milken Institute's 2018 State Technlogy and Science Index, a biennial assessment of states' capabilities and competitiveness regarding high-tech industries. New Hampshire was highlighted as a growing tech economy, stemming from biotech and engineering industries adding manufacturing jobs, as well as economic anchors that involve the defense industry. Defense contractor BAE Systems, biotech company Lonza Biologics and semiconductor manufacturer Allegro MicroSystems were among the companies specifically named in the report. The final score was a combination of five separate rankings regarding human capital, R&D inputs, risk capital, workforce and tech concentration. 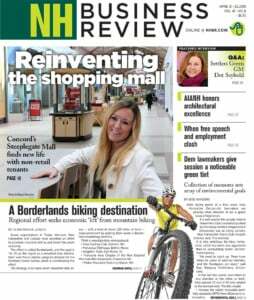 Thanks to an increased concentration of engineers, New Hampshire jumped 15 ranks, going from 26th to 11th, in regard to technology and science workforce. The state also ranked fifth in terms of venture capital funding for its biotech sector, "and should see continued expansion," said the report, citing "a $294 million investment to create the Advanced Regenerative Manufacturing Institute," which it noted "will strengthen the overall high-tech sector." New Hampshire did slid in a few ranking, such as human capital, where it dropped from tenth to 15th, and tech concentration, where it dropped nine ranks to 19th from tenth. Massachusetts continues to rank No. 1, maintaining its top spot since 2002.